Rep. Al Green introduced articles of impeachment against President Donald Trump. The articles claim Trump brought shame and dishonor to the office of the president by being associated "with causes rooted in white supremacy, bigotry, racism, anti-Semitism, white nationalism, or neo-Nazism." Green also charges Trump with "sowing discord" among the American people. "I am absolutely convinced that this is a road worth traveling," Rep. Green said on the House floor. Green forced a vote on the issue Wednesday, and the House voted to table his resolution. 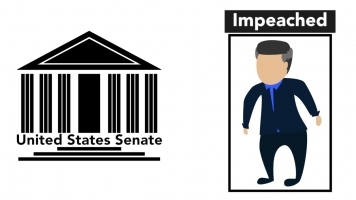 The House has to approve the articles of impeachment by a simple majority before they would move on to the Senate.